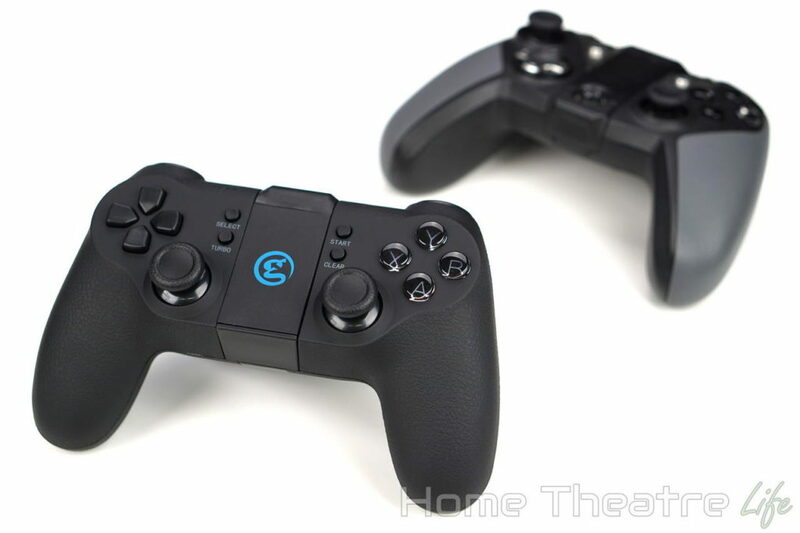 After hundreds of hours of testing and research, I’ve picked the GameSir G4S as the best Bluetooth controller for Android thanks to its exceptional flexibility and build quality. 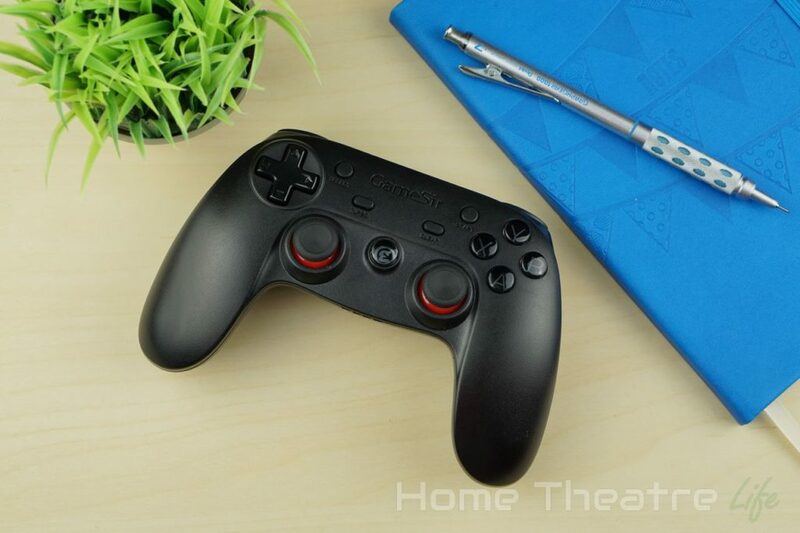 The GameSir G4S (review) is my go-to for all my Android gaming and my pick for the best Bluetooth controller for Android. Made by controller manufacturer GameSir, the GameSir G4S features excellent build quality in a comfortable Xbox-styled shell. It boasts 3 different connectivity options for maximum flexibility: Bluetooth 4.0, 2.4GHz wireless and wired. It’ll also work on Windows (as an Xbox 360 controller) as well as the PS3, letting the GameSir G4S replace several controllers. 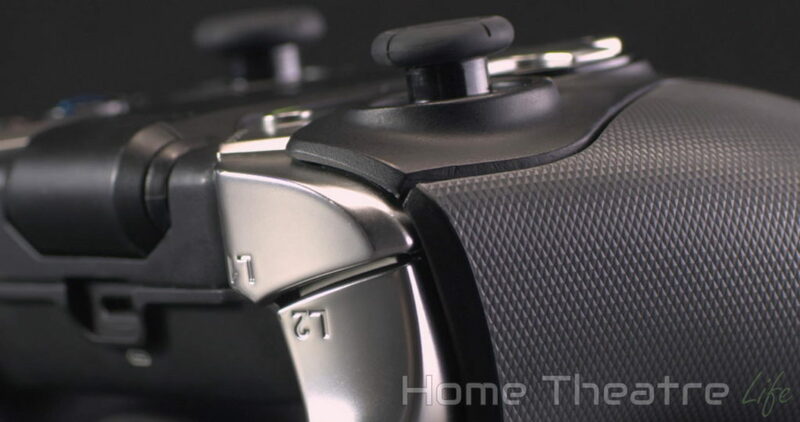 Build quality is top notch, with nice tactile buttons and precise analog sticks. It’s also ideal for gaming on the go, with up to 30 hour battery life and integrated smartphone stand. That said, its smartphone holder is on the small side which makes it difficult to use some smartphone cases. MOGA made one of the first Android controllers and the MOGA Power family represents their best Bluetooth controllers to date. The MOGA Power Hero boasts a compact design that’s easy to chuck into your bag for gaming on the go. An integrated smartphone stand (supporting phones up to 3.385″ wide) and 1800mAh battery allow make this an ideal portable controller. The MOGA is also unique in that it offers two modes: MOGA or HID. Games with native MOGA support get enhanced features though HID mode ensures compatibility with most games and emulators. Tablet controllers are difficult to find as it’s hard to fit an entire tablet into a grip. That hasn’t stopped iPega with the iPega PG-9023. 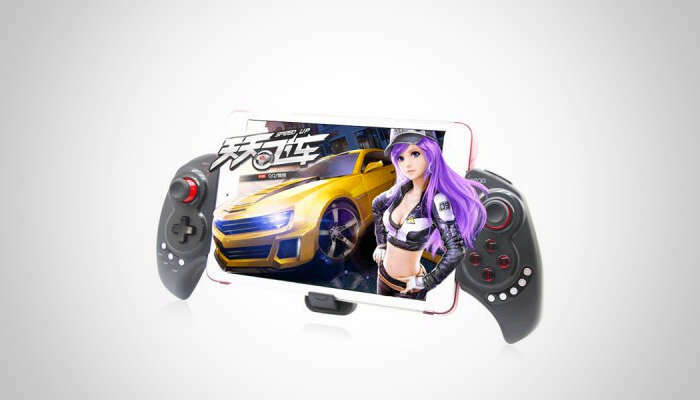 The iPega PG-9023 is the only Bluetooth controller capable of fitting a tablet in both portrait and landscape, making it perfect for those who like large screen gaming on the go. It’s got dual analog sticks, L2/R2 buttons and more so its suitable for most games. One drawback is the the controls. Whilst they’re serviceable, they’re not as nice as more premium controllers like the GameSir G4S. However, if you’re looking for a Bluetooth controller that will fit your tablet, you really don’t have any many other other choice. 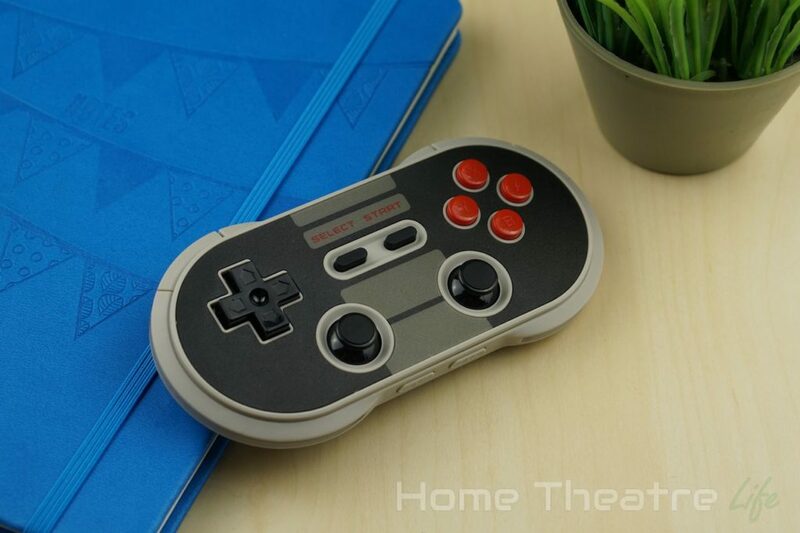 The 8BitDo NES30 Pro (review) is a compact Bluetooth controller that packs all the buttons you’d need in a unique NES-inspired design. The controller can be used both wirelessly via Bluetooth or wired and supports a wide variety of platforms including Android, Windows, PS3 and Wii (though some require 8BitDo’s extended firmware). An integrated battery offers hours of gameplay, though you’ll need to pick up the 8BitDo XTander smartphone stand if you want to attach your smartphone for easy gaming on the go. 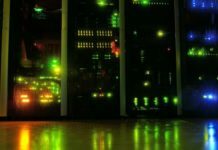 Upgradable firmware rounds out the package, with firmware updates offering improved features and support for new platforms. That said, I didn’t find the SNES-like shape of the controller as comfortable as more modern designs and the placement of the L2/R2 buttons is a little awkward, though you get used to it over time. 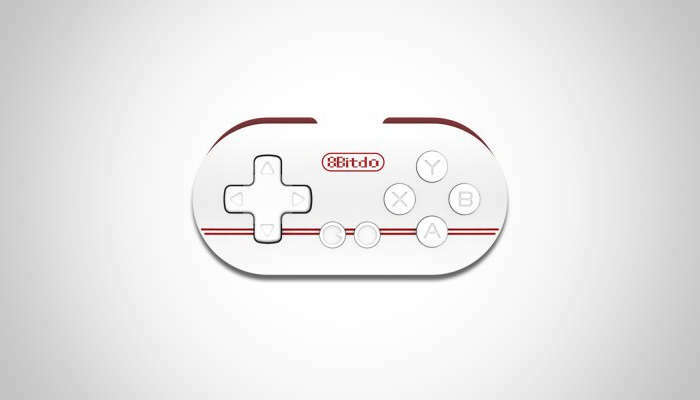 The tiny 8BitDo Zero is the definition of portable. Coming in at a miniscule 7.3×3.7cm, the SNES-inspired Bluetooth controller is easy enough to slip into the smallest of pockets. Compatibility is excellent, though the lack of L2/R2 buttons and dual analog sticks limits it to mainly retro games but for only $10, it’s easy to overcome this Bluetooth controllers shortcomings. 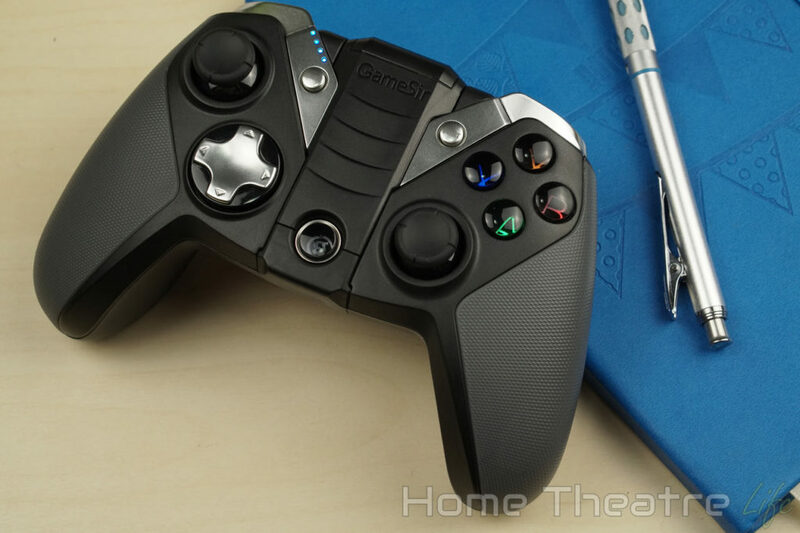 The GameSir T1S (review) is the company’s latest Bluetooth controller that offers all the features of the GameSir G4S as a slightly lower price. Featuring an Playstation-style design, the GameSir T1S boasts the same excellent compatability with both Android and Windows. 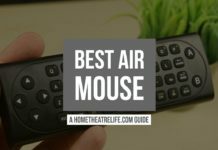 This is in addition to Bluetooth, 2.4GHz wireless and wired connectivity options. 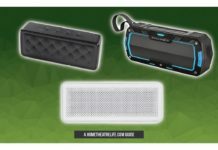 A built-in rechargeable battery and integrated smartphone also allows for gaming on the go. My only real negative is that the leather-like texture may not be to everyone’s tastes, though it does provide excellent grip for intense gaming sessions. The GameSir G3S (review) was the first controller from the company that I reviewed and it still holds up today. 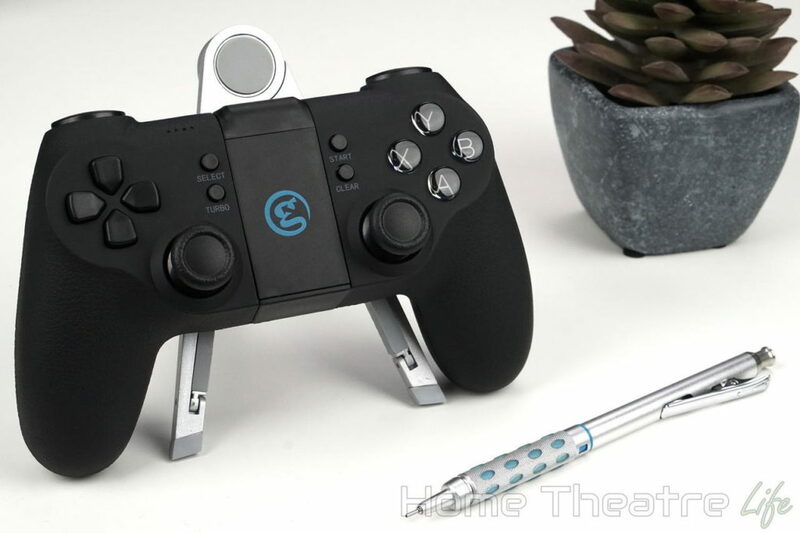 Offering the same connectivity options as the GameSir G4S and T1S, the GameSir G3S is incredibly flexible. That said, there’s no integrated smartphone stand. A clip-on stand can be picked up in a bundle or purchased separately though it’s not as intuitive as the built-in versions seen on the G4S and T1S. What is an Bluetooth Controller? Bluetooth controllers are wireless controllers that use the Bluetooth wireless standard to connect up to your Android smartphone or Android TV box. 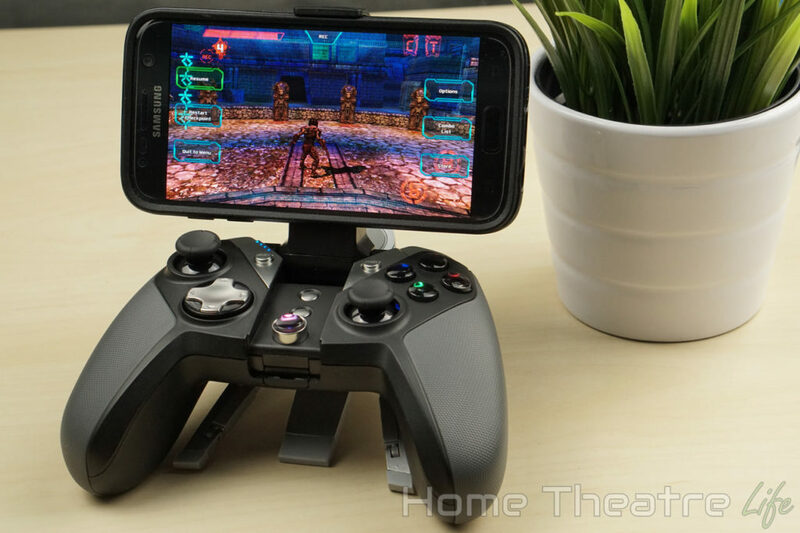 Most Android devices have Bluetooth built in, making Bluetooth controllers one of the easiest ways to enhance your gaming on these devices. However, there’s some limitations to Bluetooth, namely range and input lag. Bluetooth devices typically have a range of around 10m. This means it’ll be fine for most situations but something to be aware of. There’s also typically a small amount of input lag, though this only really impacts the twitch-style games. 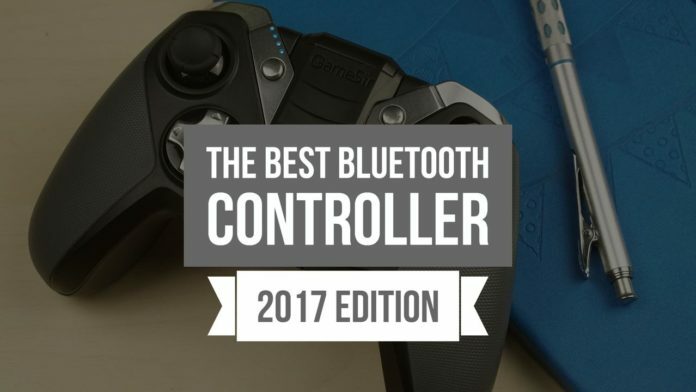 What Features Should the Best Bluetooth Controller Have? 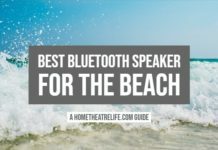 With so many options out there, there’s a number of core features you should look for when trying to find the best Blueooth controller for your Android device. Like your smartphone, you’ll likely want to take your Bluetooth controller with you. A good Bluetooth controller will have excellent build quality to handle knocks associated with transport and won’t feel like it’ll fall apart in your hands. There’s a massive difference between a quality gamepad and a cheap one. Good quality gamepads will offer better quality controls including more responsive buttons and d-pads that don’t feel “mushy”. This makes for a much better gaming experience. There’s nothing worse than having your controller die on you mid-game. The best Bluetooth controllers will offer over 10 hours of gaming to account for even the longest gaming sessions. Android devices expect an Xbox styled button layout (XABY) for connected controllers. Be cautious of controllers that use different button configurations as these may not be as easy to use and may even cause issues with some games. The best Android controllers are those that can be used on the widest variety of games. After all, what’s the point buying a controller if you can’t use it? Bluetooth controllers that use Android’s native controller support or have seen wide adoption are best. Some Bluetooth controllers can also be used wired or via 2.4GHz wireless, offering greater flexibility in connecting up your controller. 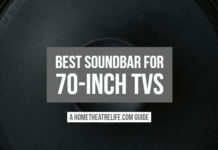 This may be important for those playing “twitch” games requiring far response times as there will be some slight input lag when using Bluetooth. Alternative connections typically reduce this lag. Android is great for on the go gaming. 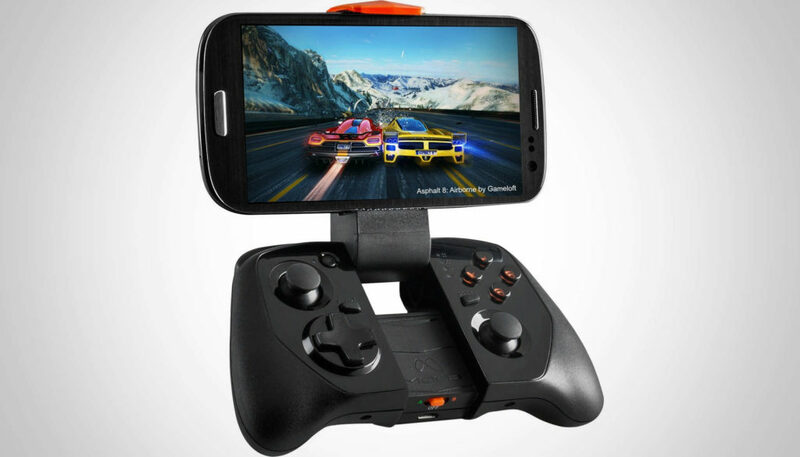 Having a controller with a built-in smartphone holder makes portable gaming a breeze. Just snap in your smartphone and enjoy gaming. Some controllers are bundled with supported applications that help you configure the controller or find compatible games. Whilst they’re often not needed to use the controller, they can go a long way to making the overall controller package more user friendly. Have a favorite Bluetooth controller that I haven’t included in here? Let me know in the comments!